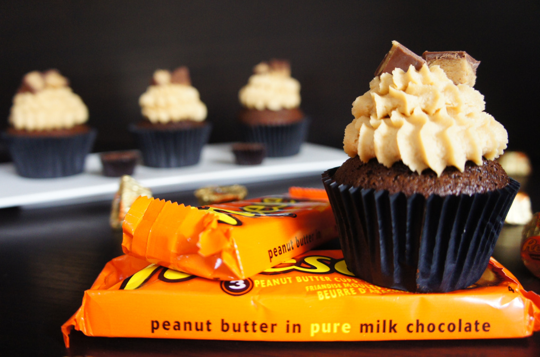 As scary as Halloween can be, it wouldn’t be the same without the sweets. The sweets aspect is a traditional Halloween staple. And while I’m not giving away chocolates, this year, I am still sweet on the date. My doorbell rings quite a lot on October 31st so but still I have a lot of free time on my hands in between guest spurts. This year I’ve decided to dress in costume BAKE OUT in the in between. 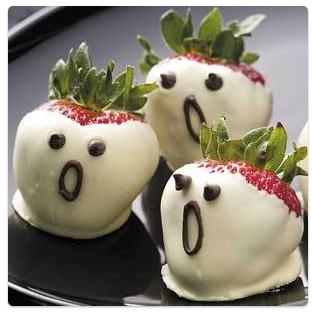 How about chocolate spiders (gremlins), spooky strawberries, or maybe some Reese’s chcolate & peanut butter cupcakes? – Preheat oven to 180 degrees C.
I plan on keeping with tradition & putting a costume on. wearing cat head gear, MAC lipstick and a baking apron too. Ooo! lol! Wishing you a HAPPY HalloWEEKEND and bid you consider Doing it in the kitchen.